One of our attractive Langham Studios was recently installed for a customer based in Hungerford, Berkshire. Measuring 3.0 x 4.2m, the studio is the ideal work-from-home office. As with all of our FSC® certified timber buildings, the studio was designed and hand-built at our Norfolk factory before being both delivered and installed by our expert, in-house fitting team. It has an apex roof covered with cedar shingles and lined with black guttering to keep off the wetter elements. It is also clad with smooth shiplap and painted in our exterior paint shade of Sage. Sage comes from our range of Valtti paint, which is extremely durable due to the bond it forms with wood, providing the building with longevity. 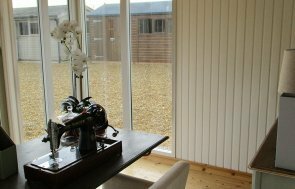 Internally, the studio boasts full insulation with an electrical pack and heater to ensure that the building can be used at pleasant temperatures the whole year through. The customer also opted for painted interior lining for a light and airy feel. In order to browse our entire range of garden buildings, which also includes summerhouses, sheds and garden rooms, we recommend paying us a visit at your nearest show centre, located at the Hillier Garden Centre in Newbury. 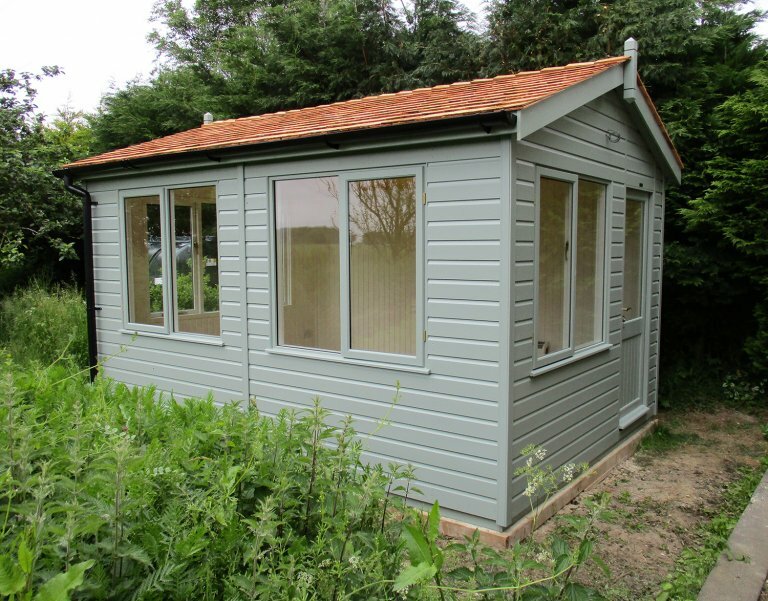 If you require any assistance with this or any of our other Garden Buildings, please do not hesitate to Contact Us or call us on 01760 444229.